Genre: Historical Fiction- Victorian woman fights to follow her dream ! Go Her!!! I am very proud of my husbands grandmother! She was one of the very first woman in New Zealand to get multiple degrees. In 1928 she got a Bachelor of Arts, in 1931 she graduated with a Masters of Science specializing in Botany and in the same year she received a Bachelor of Science in Zoology! She was after the Victorian era but only just and she still rocked her female world by her achievements. She is an awesome role model for her great grandchildren - my kids, and her dignity and her beautiful demeanor matched her sharp intelligence. Both Grandma and this story are set in the jazz age... woman who rocked there worlds and formed a new grove for us to dance in. What an utterly scrumptious book! 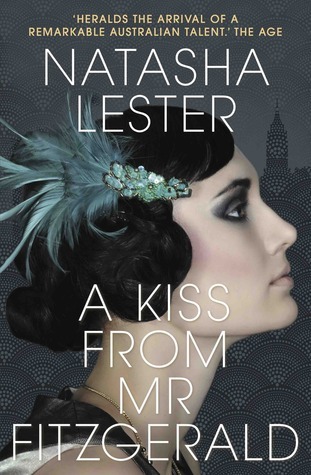 A gorgeous confection of romance and 1920s glamour with a strong lead who is both a woman of her time and the kind of woman we all aspire to be. Evie Lockhart is a young woman when a tragic incident drives her towards the idea of becoming New York's first female obstetrician. Can such a thing be done by Evie, a girl who is supposed to marry the rich boy next door and fulfil her mother's ambitions to drag the family into the upper echelons of New York society? It's a task that will take all Evie's courage and determination to achieve and will take her from her home in Concord to the stage of the famous Ziegfield Folies. When love is found in an unexpected place, Evie is forced her to question how much she is willing to sacrifice to achieve her desires.